WORKING ABOVE REAL ESTATE EXPECTATIONS, to meet yours! I am a long time resident of Cromwell, & a FULL time realtor. Where clients needs come first. My Motto "Quality of service is in the details". I'M HERE TO MAKE A DIFFERENCE BY WORKING ABOVE REAL ESTATE EXPECTATIONS! We are now licensed in both Massachusetts and Connecticut. 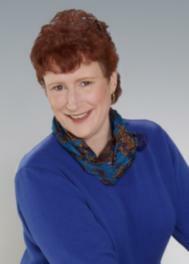 Visit me at http://www.Cromwellrealestate.com/ I am a long time resident of Cromwell, and am FULL time Realtor. Putting my clients goals and desires first, and try to go the extra mile for them is what I strive to do. I feel the "Quality of Service is in the Details", and this is something that is lacking, generally speaking. I knew there had to be an improvement made. Whether you are buying or selling real estate, this can be a big/stressfful transaction, and someone needs to listen.. therefore, I changed my career. After 25 years of being in the financial field, I left to make a difference in real estate. I'm looking to be an Erin Brockovich in the world of real estate.. with this, I expanded my knowledge with extra classes and have been certified with an ABR (Accredited Buyers Representative). What puts me apart from other realtors is knowing that one should alway be ahead of the market when it comes to listing/marketing properties, and to always listen to your clients as if they were your first and only client... because you might be their first realtor.... and with a job well done could be their only one. Clients may forget what you said, but they will never forget how you made them feel. ** Specializing in condominium, single family, and antique homes. ** Rental properties and Lease Preparation. ** When it comes to real estate, all you need know, is ValerieO. ** Designations: ABR Accredited Buyers Representative. ** Member of Middlesex Chamber of Commerce. ** Knowledge of/ and working with short sales. ** One-on-One Service, every step of the way. Valerie Osterhoudt's cell phone is 860.883.8889, and I am ready to assist with all your real estate needs.